3 nights accommodation in standard 3 or 4 star hotel (2 people sharing in Double / Twin room). Welcome at Danang International airport. Proceed to visit Hoi An ancient town in the afternoon features of ancient house Tan Ky, Phuc Kien Temple and Japanese bridge pagoda. Enjoy walking in Hoian ancient town by night. Overnight at hotel in Hoi An. Depart for Hue, admire the scenery Hai Van Pass - one of the most beautiful pass of Vietnam. 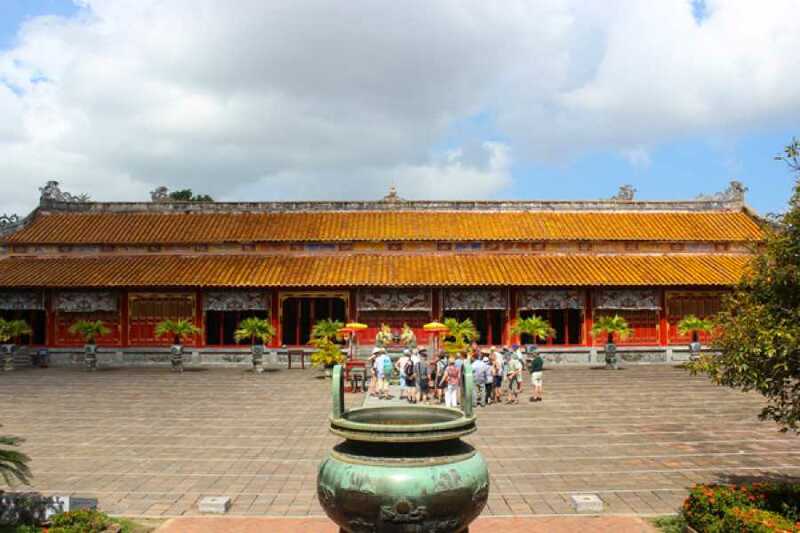 Arrive Hue, take a boat trip on the Perfume River to visit Thien Mu Pagoda, Phuoc Duyen Tower. 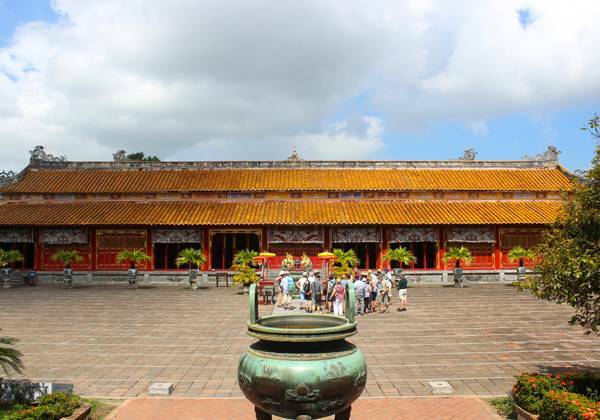 Afternoon visit the Hue Citadel (Royal Palace of 13 kings of the Nguyen Dynasty, the last feudal dynasty of Vietnam: Ngo Mon Gate, Thai Hoa Palace, Forbidden City). Overnight at hotel in Hue. Visit tomb of Khai Dinh - an ancient architectural works with incredibly unique architecture. It is also recognized as world cultural heritage by UNESCO. Visiting Trang Tien Bridge and Dong Ba Market. Transfer back to visit Da Nang in the afternoon with Linh Ung Pagoda in Son Tra Islet with 67 meter high Buddha. Then visit Marble Mountain opposite to the Da Nang Beach. Enjoy the picturesque landscape of My Khe Beach ranked by Forbes magazine as one of the six most attractive beaches on the planet. Overnight at hotel in Da Nang. Enjoy morning tour to Ba Na Hills - an unique eco-resort with 4 seasons in one day (spring, summer, autumn and winter) at altitude of 1,500 meter above sea level. Explore new attractive golden bridge at Ba Na Hills. Back for Da Nang in the afternoon. Free at leisure in Da Nang for shopping before transfer to the airport for your departure. End of service.